Master a uniquely powerful spiritual practice that maximizes your prayers! Multiply Your Blessings helps you to do what the greatest spiritual masters throughout history have urged us to do: pray with one another and reap the rewards. In these pages, Gold and Fotinos, cofounders of the Sacred Center New York, show how to strengthen your faith, and open up your heart and mind to be more receptive to God�s answers to your prayers. 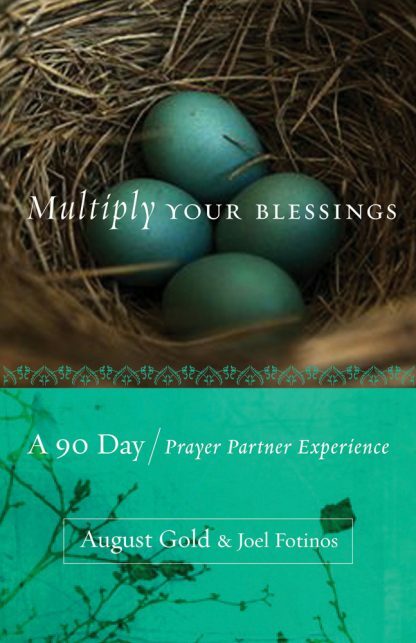 This 90-Day Prayer Partner Experience provides space to record your thoughts, plans, and goals and guided writing exercises to bring heightened awareness to your daily life. Multiply Your Blessings offers profound and surprising spiritual rewards. Joel Fotinos, a vice president at Penguin Group (USA) Inc, is the publisher of the Tarcher imprint and founder of the Putnam Praise publishing program. A cofounder of Sacred Center New York, he is an ordained New Thought minister and motivational speaker and seminar leader.